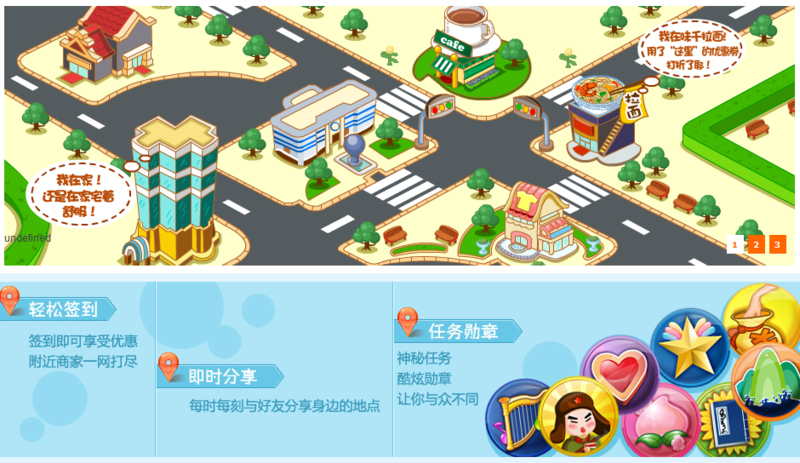 Sina, China’s biggest web portal, just released its own check-in service, named WeiLingDi, which roughly translates to “Micro Territory.” It hopes to attract users with seamless integration to its microblogging service and by using celebrity endorsement with its “Star News” feature. Like Foursquare, users can check-in at different places and get badges. It also doubles as a discovery service by letting users rate and recommend places to go to. As expected, WeiLingDi integrates seamlessly with Sina Weibo, the biggest microblogging service in the country. “Users can log in using their Weibo account and their check-ins and recommendations will be shared with their followers. With more than 60,000 verified accounts that consist of celebrities, sports stars and other VIPs, WeiLingDi encourages new users to use the service with “Star News”, where users can follow celebrities to discover their whereabouts and activities. It’s a big hit with the Chinese as the the top 100 users themselves have over 180 million followers. Foursquare, as with most social networking sites, is currently behind the Great Firewall of China. Rumor has it that it is interested in acquiring Jiepang, China’s most popular location-based service, but given the huge established user base of Sina, it will surely be a stiff competition between these two. Clients for iOS and Android are already available for download.